This book is about understanding the essence and origin of Yoga-not the modern physical exercise of Yoga, but he underlying philosophical roots of this popular approach to a health-conscious lifestyle. The book introduces Yoga as a way of meditation and self-discovery. Yoga is rooted in the centuries of intense investigation and research in the East to develop an understanding of human consciousness and its potential. 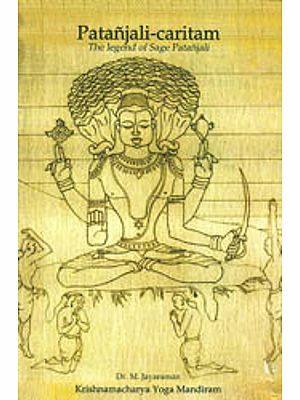 Oshal introduces and explains, in his unique and clear way, the ancient text sources of Patanjali, the founder of Yoga. Osho calls this third-century mystic “the mathematician of mysticism” and “an Einstein in the world of the Buddha’s.” There have been countless commentaries written on Patanjali’s sutras, but many are dense and obscure. 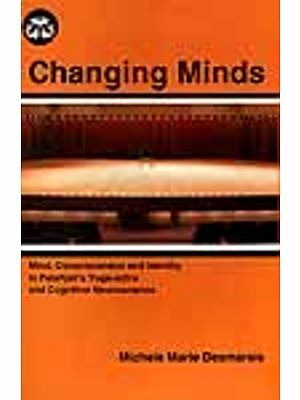 Osho’s uniqueness lies in his ability to put these invaluable insights into a contemporary context and simple language, making them accessible to 21Ist century people. Question and answer sessions with his audience deepen the understanding of Yoga as an existential and reality based spiritual discipline. This book is part one of a 10-part series of talks titled Yoga: The Science of the Soul, in which Osho speaks about Yoga. Osho has been described by The Sunday Times in London as one of the “1000 Makers of the 20th century” and by American author Tom Robbins as “the most dangerous man since Jesus Christ.” Sunday Mid-Day (India) has selected Osho as one of ten people –along with Gandhi, Nehru and Buddha –who have changed the destiny of India. About his own work Osho has said he is helping to create the conditions for the birth of a new kind of human being. He often characterizes this new human being as “the Buddha” –capable both of enjoying the earthy pleasures of a Zorba the Greek and the silent serenity of a Gautama the Buddha. Osho is known for his revolutionary contribution to the science of inner transformation, with an approach to mediation that acknowledges the accelerated pace of contemporary life. His unique OSHO Active meditations are designed to first release the accumulated stresses of body and mind, so that it is then easier to take an experience of stillness and thought-free relaxation into daily life. Two autobiographical works by the author are available: Autobiography of a Spiritually Incorrect mystic, St Martins Press, New York (book and eBook) Glimpses of a Golden Childhood, OSHO Media International, Pune, India. Mind is not a thing, but an event. A thing has substance in it; an event is just a process. A thing is like a rock; an event is like a wave: it exists, but is not substantial. It is just the event between the wind and the ocean a process, a phenomenon. This is the first thing to be understood: that mind is a process, like a wave or like a river, but it has no substance, it can disappear without leaving a single trace behind. When a wave disappears into the ocean what is left behind?-nothing , not even a trace so those who have known say mind is like a bird flying into the sky- no footprints are left behind, not even a trace. The bird flies but leaves no path, no footprints. The mind is just a process. In fact, mind doesn’t exist, only thoughts-thoughts moving so fast that you think and feel that something exists there in continuity. One thought comes, another thought comes, another, and they go on. The gap between one thought and another is so small you cannot see it. So two thoughts become joined, they become a continuity, and because of that continuity you think there is a mind. There are thoughts are the electrons of the mind. Just like a crowd.. A crowd exists in a sense, doesn’t exist in another. Only individuals exist, but many individuals together give the felling as if they are one. A nation exists and exists not; there are only individuals. Individuals are the electrons of a nation, of a community, of a crowd. Thoughts exist, mind doesn’t exist. Mind is just the appearance. And when you look deeper into the mind, it disappears. Then there are thoughts, but when the mind has disappeared and individual thoughts exist, many things are immediately solved. First thing: immediately you come to know that thoughts are like clouds. They come and go- and you are the sky. When there is no mind, immediately the perception comes that you are no longer involved in the thoughts. Thoughts are there, passing through you like clouds passing through the sky, or the wind passing through the trees. Thoughts are passing through you, and they can pass through because you are a vast emptiness. There is no hindrance, no obstacle. No wall exists to prevent them. You are not a walled phenomenon. Your sky is infinitely open; thoughts come and go. And once you start feeling that thoughts come and go and you are the watcher, the witness, the mind is in control. We live in a deep illusion-an illusion of hope, of future, of tomorrow. As man is, he cannot exist without self-deception. Nietzsche says somewhere that man cannot live with the true: he needs dreams, he needs illusions, he needs lies to exist. And Nietzsche is right. As man is he cannot exist with the truth. This has to be understood very deeply, because without understanding this, there can be no entry into the inquiry which is called Yoga. The mind has to be understood deeply-the mind which needs lies, the mind which needs illusions, the mind which cannot exist with the real, the mind which needs dreams. You are not only dreaming in the night; even while awake you are continuously dreaming. You may be looking at me, you may be listening to me, bit a dream current continuously goes on within you. The mind is creating dreams, images, fantasies. Now scientists say that a man can live without sleep but he cannot live without dreams. In the old days it was understood that sleep was a necessity, but now modern research says sleep is not really a necessity; sleep is needed only so that you can dream. Dreaming is he necessity. If you are allowed to sleep but not allowed to dream, you will not feel fresh, alive, in the morning. You will feel tired, as if you have not been able to sleep at all. In the night there are periods for deep sleep and periods for dreaming. There is a rhythm, just like day and night. There is a rhythm: n the beginning you fall into deep sleep for near about forty, forty-five minutes, then the dream phase comes in; then you dream; then again dreamless sleep, then again dreaming. This goes on the whole night. If your sleep is disturbed while you are deeply asleep without dreaming, when you wake in the morning you will not feel that you have missed anything. But if your dream is disturbed while you are dreaming, in the morning you will feel completely tired, exhausted. Now this can be observed from the outside. If someone is sleeping you can judge whether he is dreaming or asleep. If he is dreaming his eyes. When he is fast asleep the eyes will not move; they will remain steady. So if your sleep is disturbed while your eyes are moving, in the morning you will feel tired. While your eyes are not moving sleep can be disturbed; in the morning you will not feel anything is missing. Many researchers have proved that the human mind feeds on dreams; dreaming is a necessity, and reaming is total auto-deception. And this is so not only in the night: while awake also the same pattern dreams floating in the mind, sometimes there will be n o dreams. When there are dreams you will be doing something but you will be absent. Inside you are occupied. For example, you are here. If your mind is passing through a dram-state you will listen to me without listening at all, because your mind will be occupied within. You can only listen to me if you are not in a dreaming state. Day and night, mind goes on moving from no-dream to dream, then from dream to no-dream again. This is an inner rhythm. Not only do we continuously dream, in life also we project hopes into the future. The present is almost always a hell: you can endure this hell only because of the hope that you have project into the future. You can live today because of tomorrow. You are hoping something is going to happen tomorrow- the doors of paradise will open tomorrow. They even open today, and when tomorrow comes it will not come as tomorrow, it will come as today, but by that time your mind has move again. You go on moving ahead of yourself: this is what dreaming means. You are not open with the real that which is nearby, that which is here and now, you are somewhere else, moving ahead, jumping ahead. You have named that tomorrow, that future, in many ways. Some people call it heave, some people call it moksha, but it is always in the future. Somebody is thinking in terms of wealth, but that wealth is going to be in the future. And somebody is thinking in terms of paradise, and that paradise is going to be after you are dead, far away in the future. You waste your present for that which is not: this is what dreaming means. You cannot be here and now. To be just in the moment seems to be arduous. You can be in the past, because again that is dreaming-memories, remembrance of things which are not more- or you can be in the future, which is projection, which again is creating something out of the past. The future is nothing bit the pat projected again. It may be more colorful, more beautiful, more pleasant, but it is at the past refined. You cannot think anything other than the past: the future is nothing but the past projected again. Future and past are not; the present is, but you are never in the present. This is what dreaming means. Nietzsche is right when he says that man cannot live with the truth. He needs lie, through lies. Nietzsche says that we go on saying that we want the truth, but no one wants it. Our so called truths are nothing but lies, beautiful lies. No one is ready to see then naked reality. This mind cannot enter on the path of Yoga because Yoga is a methodology to reveal the truth. Yoga is a method to come to a non-dreaming mind. Yoga is the science to be in the here and now. Yoga means that now you are ready not to move into the future. Yoga means now you are ready not to hope, not to jump ahead of your being. Yoga means to encounter the reality as it is. One can enter Yoga, or the path of Yoga, only when he is totally frustrated with his own mind as it is. If your are still hoping that you can gain something through your mind, Yoga in not for you. A total frustration is needed-the revelation that the mind which projects is futile, the mind that hopes is nonsense, it leads nowhere. It simply closes your eyes, it intoxicates you, it never allows reality to be revealed to you. It protects you against reality. Your mind is a drug. It is against that which is. So you can enter on the path only if you are totally frustrated with your mind, with your way of being, with the way you have existed up to now, and you can drop it unconditionally. Many become interested but very few enter, because that interest may be just because of the mind. You may be hoping that now, through Yoga, you may gain something. The achieving motive is there with the hope that you may become perfect through Yoga, you may reach to the blissful state of perfect being, that you may become one with the Brahman that you may achieve the satchitananda. This may be why you are interested in Yoga. If this is the cause then there can be no meeting between you and the path which is Yoga. Then you are totally against it, moving in a totally opposite dimension. Yoga means: “Now no hope, now no future, now no desires. But I am ready to know what is. I am not interested in what can be, what should e, what ought to be. I am not interested! I am not interested only in that which is. “Because only the real can free you, only the reality can become liberation. Total despair is needed. That despair Buddha called dukkha. If you are really in misery don’t hope, because your hope will only prolong the misery. Your hope is a drug. It can help you to continue, but where are you moving? It will help you to reach only death and nowhere else. All your hopes can lead you only to death; they are leading. Become totally hopeless- no future, no hope. It is difficult; it needs courage to face the real. But such a moment comes to everyone, sometime or other. A moment comes to every human being when he feels total hopelessness. Absolute meaninglessness happens to him. When he becomes aware that what so ever he is doing is useless, where so ever he is going is going to nowhere, and all life is meaningless, then hopes drop. Future drops, and for the first time he is in tune with the present, for first time he is face to face with reality. Unless this moment comes to you, you can go on doing asanas, postures, but that is not Yoga. Yoga is an inward Turing, a total about-turn. When you are not moving into the future, not moving towards the past, then you start moving within yourself, because your being is here and now, it is not in the future. You after present here and now, you can enter this reality. But then mind has to be here. This moment is indicated by the first sutra of Patanjali. Before we talk about the first sutra, a few other things have to be understood. Yoga is not a religion, remember that. Yoga is not Hindu, it is not Mohammedan. Yoga is a pure science just like mathematics, physics or chemistry. Physics is not Christian, physics is not Buddhist. Christians’ may have discovered the laws of physics, but physics is not Christian. It is just accidental that Christians have come to discover the laws of physics. Physics remains just a science. Yoga is a science; it is just accidental that Hindus discovered it. It is not Hindu. It is pure mathematics of the inner being. A Mohammedan can be a yogi, a Christian can be a yogi, a Jaina, a Buddhist can be a yogi. So-called religious need beliefs. There is no other difference between one religion and another except the difference of beliefs. A Mohammedan has certain beliefs, a Hindu certain others, a Christian certain others. The difference is of beliefs. Yoga has nothing as far as belief is concerned; Yoga doesn’t say to believe in anything. Yoga says to experience. Just as science says to experience, Yoga says to experience. Experiment and experience means there is something you can do outside; experience means there is something you can do inside. Experience is an inner experiment. Science e says, “Don’t believe, doubt as much as you can,” but also, “Don’t disbelieve”-because disbelief is again a sort of belief. You can believe in God, you can believe in the concept of no-God. You can say that God exists with a fanatic attitude and you can say quite the reverse that God exists not, with the same fanaticism. Atheists, theist, are all believers, and beliefs is not the realm of science. Science means to experience something, that which is; no belief is needed. The second thing to remember is that Yoga is existential experiential, experimental; no belief is required, no faith is needed. Only the courage to experience is needed, and that is what is lacking. You can believe easily because in belief you are not going to be transformed. Belief is something added to you, something superficial. Your being is not changed, you are not passing through some mutation. You may be a Hindu one day and become a Christian the next day, simply be changing the Gita for a Bible. You can change it for a Koran, but the man who was holding the Gita and is now holding the Bible remains the same; he has just changed his beliefs. Beliefs are like clothes. Nothing, substantial is transformed, you remain the same. Dissect a Hindu, dissect a Mohammedan-inside they are the same. The Hindu gees to a temple, the Mohammedan hates the temple. The Mohammedan goes to mosque and the Hindu hates t eh mosque but inside they are the same human beings.